Harry Styles and his band mates from One Direction are taking over the world, a vision that has become a reality for their X Factor mentor Simon Cowell. Harry Styles took to the X Factor stage in 2010 and impressed the judges with his rendition of Stevie Wonder’s ‘Isn’t She Lovely’. It was clear from the outset that young styles was a bit of a performer and it was not at all surprising when he revealed that he was already the lead singer of a band. Although he did not progress as the solo artist he was aspiring to be, the judges gave him a new band called One Direction and Styles has not looked back since. 1. Harry was born on the 1st February 1994; His start sign is Aquarius. 2. Harry’s middle name is Edward. 3. Harry is fluent in French. 4. 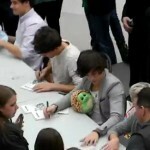 Juggling is one of Harry’s hidden talents. 5. Harry’s favourite film genre is action/adventure. 6. 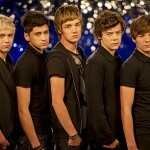 Harry was the one who came up with the band’s name ‘One Direction’. 7. 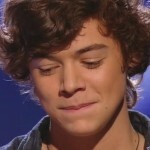 Harry used to be in a band called ‘White Eskimo’. 8. His Twitter is @Harry_Styles. 9. Harry is the youngest member of One Direction. 10. 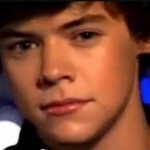 Harry had his first kiss when he was 11. 11. 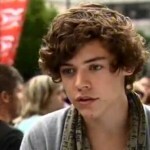 Harry studied at Holmes Chapel Comprehensive School. 12. After finishing an interview with Sunday Telegraph reporter Elle Halliwell, Harry asked her for her phone number. More Harry Styles fact coming soon. love u harry ur amazin also and dont listen to haters they are just jelous(and if u ask why they jelous) its because u got every thing the fame the loving fans u love ya and scarm ur name and all the the well the amzaing friends u got they(haters) probely dont even have half of that ik u dont like when people say i hate u i dont like u,but just dont mind that they just sayin it to make u feel bad and drop out of the band so one direction will fall all a part.i love u we love all ur fans,friends,and family loves u we are all here for u.
i love harry style he is the hottest guy in onedirection!